The semantic web describes the process whereby information content is made available for machine consumption. With increased reliance on information communication technologies, the semantic web promises effective and efficient information acquisition and dissemination of products and services in the global economy, in particular, e-learning. Despite the semantic web’s promises, certain challenges face the realization of these goals. In this paper, the author addresses key challenges, including technological and socio-cultural issues, in addition to discussing specific implications relating to the direction of the semantic web. The concept of the semantic web focuses on the new generation of World Wide Web (W3) architecture platforms that enhance content delivery within formal semantics. The semantic web also describes the process where information content is made readily available for machine consumption (Stojanovic, Staab, & Studer, 2001). However, with the increased reliance on technologies, in particular the semantic web for information dissemination and product and service delivery in the global economy, there are key communication challenges that include technology and socio-cultural implications that must be addressed. From the founder of the Internet’s standpoint, the semantic web provides an environment in which human and machine agents communicate on a semantic basis (Berners-Lee, 2000). For this reason, the foundation for the semantic web is based on ontology. Ontology represents the organization of information about products, services, and other materials around a small domain of semantically enriched objects. Ontology thus, consists of semantic networks of concepts, relations, and rules that define the meaning of information resources (de Moor, 2005; Lytras & Naeve, 2006). From this perspective, information and materials can be organized into customized databases and delivered to end-users on demand according to the users’ preferred needs. The goal of the semantic web is to develop a basis for intelligent applications enabling more efficient information use through collections of repository knowledge and information databases (Schoop, Moor, & Dietz, 2006). The organization of the semantic web holds significant implications for information delivery, culture, marketing, and communication about products or services. How people search for information is important and it is also exacerbated by non-local users, an issue that is rarely addressed in the research literature. 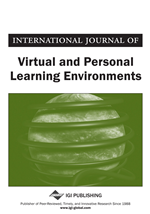 It is the goal of the proposed article to explore how the semantic web enables the dissemination and acquisition of information and e-learning collaboration to address both technical and socio-cultural challenges. The rise of the World Wide Web (W3) has significantly influenced the way people conduct research, commerce, politics, and the way they learn or receive education in the global world. Internet use has grown significantly in recent years and continues to grow rapidly in non-English speaking regions. Data suggest that between 2000-2007, Internet use in Latin America and the Middle East grew by 577% and 920% respectively (Miniwats International, 2007; Wang, 2008). Access to the Internet and the W3 allows users to search information on billions of topics and in variety of ways. The impact, however, is not limited to information searches alone, rather the W3 has evolved as a means for building a sense of community, for learning, products and services, along with agenda setting. However, in spite of the advantages that the web brings, one of the problems or challenges that results from this copious amount of data is information overload. It is not uncommon for one query to produce hits ranging from hundreds to millions of results when searching for information online (de Moor, 2005). As Gozzi (2007) puts it, “there may be billions of web pages in existence, but if we can’t find what we are looking for, these pages are useless” (p. 276). For learners and users alike, the challenge shifts from finding information to deciphering the usefulness and relevance of that information. Therefore, for the semantic web to have the intended impact and continued relevance for users, much needs to be done regarding its complex, changing, and imperfect sources of meaning. Therefore, great confusion and debate remains as to how to model context in the semantic web in order to achieve its practical usefulness (de Moor, 2005; Mey, 2003; Stojanovic et al., 2001).